As the year comes to a close and many of our Anteaters depart from the campus for winter recess, I am filled with pride when I reflect on the tremendous accomplishments of our outstanding faculty, staff and students. Truly, 2015 has been a noteworthy year of remarkable achievements, and the passion, fervor and brilliance of the Anteater community have continued to reach new heights and touch lives in meaningful ways. In 2015, we celebrated our 50th anniversary with the Festival of Discovery, welcomed the Dalai Lama for his 80th birthday celebration, and appointed several new campus leaders, including Provost and Executive Vice Chancellor Enrique Lavernia and Vice Chancellor for Health Affairs and Dean of the School of Medicine Howard Federoff. Anteaters have been recognized with the highest honors in their fields of expertise, and our university was once again named the “coolest” in the country by Sierra magazine for its sustainability leadership. On top of that, UCI was named one of the top 10 public universities in the nation by U.S. News & World Report and the No. 1 university for economically challenged students by The New York Times in its College Access Index. At 50 years old, UCI has reached its stride. At UCI, our researchers devote their lives to solving the world’s problems. Anthony James, Distinguished Professor of microbiology & molecular genetics, is a prime example of this tireless dedication. He and a team of UCI and UC San Diego scientists have created malaria-blocking mosquitoes by altering the insects’ DNA. The genetic modification preventing malaria transmission was passed on to an astonishing 99.5 percent of offspring – a breakthrough that holds great promise for eliminating malaria. 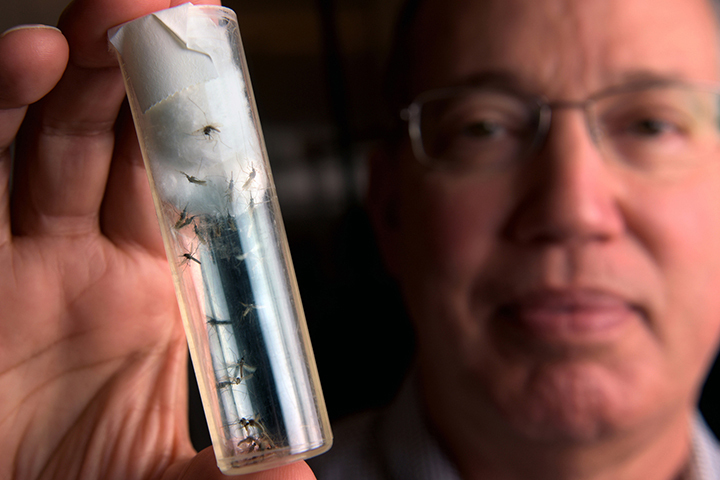 Distinguished Professor James’s lab has focused on engineering anti-disease mosquitoes for nearly 20 years. The most recent research was covered extensively by national and international media outlets, including The New York Times, Los Angeles Times, Reuters, The Boston Globe and The Guardian. Our researchers are hard at work studying El Niño as California continues its fourth year of severe drought. Although El Niño can be hard to predict, scientists are examining what massive rainfall could mean for local and state infrastructure. Amir AghaKouchak, assistant professor of civil & environmental engineering, and Jin-Yi Yu, professor of Earth system science, and their colleagues are monitoring this season’s El Niño to learn more about the relationships among ocean temperatures, rainfall, droughts and floods. You can watch a video about UCI’s unique El Niño research on our YouTube channel. UCI is an exceptional, world-class university thanks to the outstanding scholarly achievements of our talented faculty. Recently, biological chemistry professor Robert Moyzis and chemistry professor Sergey Nizkorodov were elected fellows of the American Association for the Advancement of Science, an honor bestowed on AAAS members by their peers. Professor Moyzis was lauded for the discovery and molecular cloning of the human telomere, a notable addition to what we know about the structure and function of chromosomes. Professor Nizkorodov was recognized for his tremendous contributions to fundamental molecular chemistry and the photochemistry of complex organic aerosols. With their addition to this year’s class, UCI now has 141 fellows in the association. Congratulations, Robert and Sergey! UCI Irvine Health has been named a top performer by The Joint Commission, the leading accreditor of healthcare organizations in the nation. In the commission’s 2015 annual report, UC Irvine Health was praised for its high-quality performance in surgical care and the treatment of heart attacks, heart failure, pneumonia and venous thromboembolism. This is the second consecutive year UC Irvine Health has received the top performer distinction. Orange County residents deserve the best academic medicine has to offer, and this recognition is a testament to our team’s commitment to this mission. 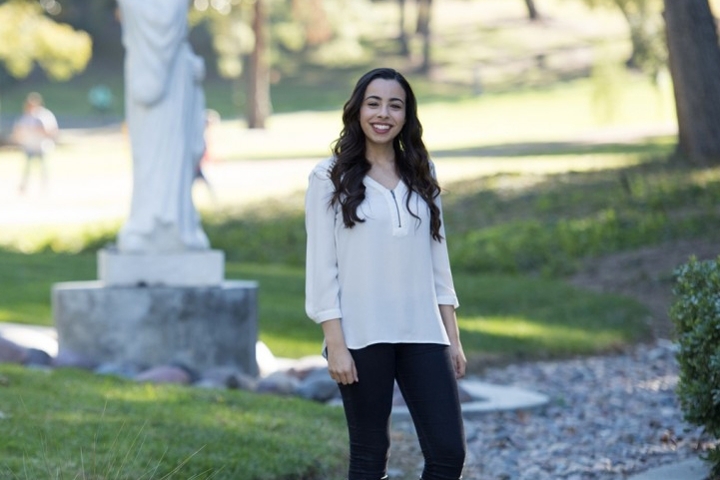 One of the unique opportunities available to UCI students is the XIV Dalai Lama Endowed Scholarship, which offers financial support for “compassion in action” projects created by undergraduates. This year, biological sciences major Mary Sargious was awarded a $10,000 scholarship and up to $10,000 more to launch her proposal – Project ACE (Anteaters for College Excellence). It will pair UCI student-mentors with foster and first-generation teens from Santa Ana’s Samueli Academy, a charter high school for disadvantaged youth. The wonderful program aims to provide leadership and college preparation resources to help these students reach their potential. Higher education has a transformative power in the lives of young people. As the first person in my family to attend college, I know firsthand how a university education can impact a person’s life and broaden his or her horizon. I’m happy to share that UCI was recently awarded a $1.1 million Trio grant from the U.S. Department of Education that will allow our Student Support Services office to provide resources, such as tutors and extra staff, to 140 students who are first-generation, low-income or disabled. The grant enables us to expand our efforts and ensure that all our students thrive in the competitive and challenging environment of a top-tier research university. This week, Peter the Anteater will set sail in Newport Beach harbor as captain of the official UCI vessel in the 107th Newport Beach Christmas Boat Parade. Our yacht, themed for UCI’s 50th anniversary, was meticulously decorated for the beloved holiday tradition by students and faculty in the Claire Trevor School of the Arts. If you weren’t able to secure a spot on the boat, I invite you to come to the beach to enjoy the impressive display. 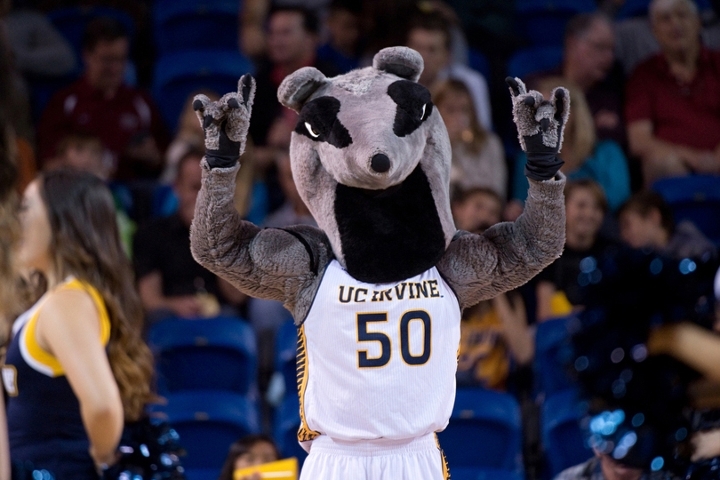 Additionally, I’m excited to share that Peter the Anteater will be featured in the 127th Rose Parade. 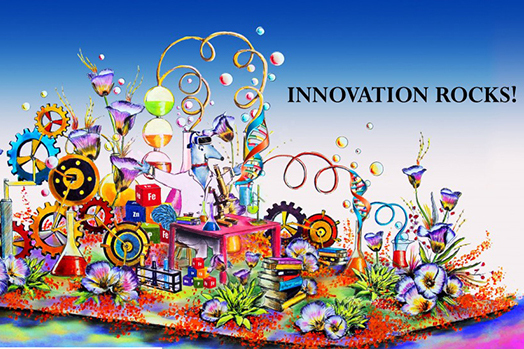 As the centerpiece of the Irvine Chamber of Commerce/Destination Irvine float, a floral Peter will be a champion for innovation, aptly equipped with a lab coat and beakers to conduct groundbreaking experiments for a national audience. Perhaps he’ll take a note from chemistry professor Gregory Weiss and show us how to unboil an egg! You’ll have to watch to find out. Wishing you a joyful holiday season and happy new year.